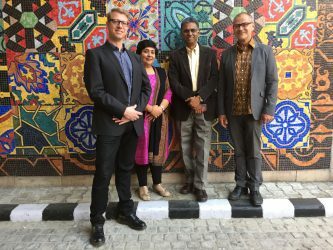 In January and February 2017, Michael Nicolai, President of AMARC Europe, together with radio-artist Ralf Wendt (Radio Corax), visited Indian community radios by invitation of UNESCO Chair on Community Media at the University of Hyderabad and met representatives of the Indian community radios at the UNESCO in New Delhi. While the community radio activists of India were interested in the European situation of Community Radio, and especially their role when faced with the situation of refugees and migrants coming to Europe, we were fortunate to receive an intensive introduction to the Indian situation of Community Radio by Professor Vinod Pavarala, UNESCO chairman on Community Media, and his team, especially Professor Kanchan K. Malik. Since Sangham Radio in Pastapur village went on air in 2008, more than 200 radio stations started broadcasting all over India. About half of these Indian community radios are licensed to NGOs working in the field of improving people’s lives and situation while the other half are licensed to Universities and agricultural research centres. Many of the radio stations were active in communities many years before they started to use community radio as a societal tool to communicate within the community. This is how all Community Radio stations we visited are working. Community Radio in India are allowed to broadcast within a maximum radius of 25 kilometers. 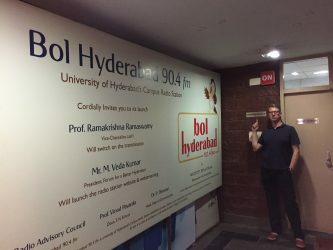 Bol Hyderabad is a campus-based community radio station located at the University of Hyderabad, Gachibowli. 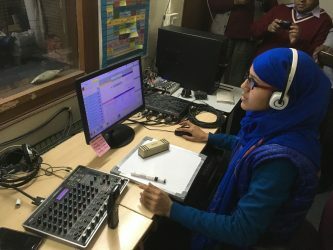 Besides providing information to the university community, the station broadcasts all year round in four languages -English, Hindi, Telugu and Urdu- serving the communities in a 15 km radius of Gachibowli. Bol Hyderabad’s community is extremely diverse, encompassing university students, civil servants, educationists, IT professionals, scholars and other residents. For instance Bol Hyderabad will provide air time to a group of children journalists who are producing wall papers down to the present day to point out unacceptable conditions in the slums of Hyderabad, where they are living, as a way to change and challenge their living conditions. 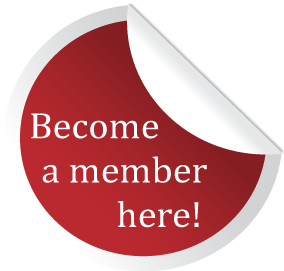 Sangham Radio, India’s first rural community radio station, is licensed to the NGO Deccan Development Society. Its name, Sangham Radio is referring to village local women’s collectives and it is the part of Deccan Development Society’s work. 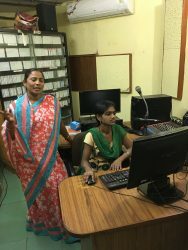 Sangham Radio is intended to give a voice to the excluded in general, and to women in particular. This is a radio owned, managed and operated by women from the margins of society, people who have been mostly excluded in public forums. Sangham Radio focuses on issues such as Food Sovereignty, Seed Sovereignty, Autonomous Health, Autonomous Market, and Autonomous Media. It also addresses issues like retrieving the culture, language and local traditions in food and farming, health and ecology. The radio broadcasts to a radius of 25 kms covering about 100 villages and a population close to 50,000 inhabitants. It was striking to hear that Sangham Radio only broadcasts two hours per day although they got a 24/7 license. The reason for it, it is a very strict policy towards the usage of the radio’s listenership: the women, for whom the programme is made for, can only listen to Sangham Radio when they are done with work, so the shows run from seven to nine in the night when they have returned from the fields after a long days of work. Gurgaon Ki Awaaz is a community-run platform in Gurgaon, a community located in the outskirts of New Delhi belonging to the district of Haryana. Its focus is on marginalised voices, mainly local villagers and migrant workers, specifically their culture, their key needs and their aspirations. In this way, Gurgaon Ki Awaaz works on creating an atmosphere of dialogue, using radio as a communication tool in this patchy metropolis. The Vision of this Community Radio is to work towards better livelihood choices, a safer Gurgaon, a better school environment for children, access to health facilities for all, regardless of their economic status and domicile. And most of all, is about communicating the interests of the communities to the citizens living within the range of transmission. 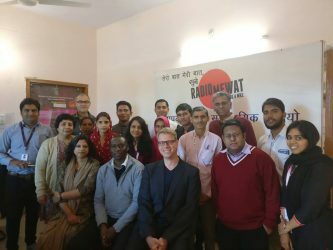 Last Community Radio we visited was Radio Mewat. It was set up with financial support from a UNESCO media development programme and has emerged as an important communication hub in the district of Haryana. It offers programmes on education, livelihoods, health, the preservation of local heritage and subjects related to local development. This Community Radio also works in the field of citizen journalism. Radio Mewat enjoys the support of local governing bodies and government departments, whose campaigns it sometimes promotes. Obviously this regulation is limiting the content of radio broadcasting tremendously, especially if the government has never defined more precisely what the forbidden content would be. The ban on broadcast of news is currently under legal challenge in the Supreme Court of India with the argument that it places unreasonable restrictions on freedom of speech and expression guaranteed in the Constitution. Regardless of the decision, especially as long as it’s not made, the Indian CRs will have to find the strength and resources to pool their forces and use their national federations to exert pressure on the government to change this futile regulation to achieve their full potential as societal tool. International support would be a helpful and reasonable task for AMARC!